Story of a Poet #43. ~Sins. Severe or Saviour?~ – I'm Here; Right Here. There is a lot to wonder about this life than just opening and closing of the eyes. I am trying to bring an excerpt of it through this acoustic poem. But, remember I am not perfect. Story of a Poet: #44. He and She fought to become one. This caught me. So heart-achingly beautiful as an image. Loved it. 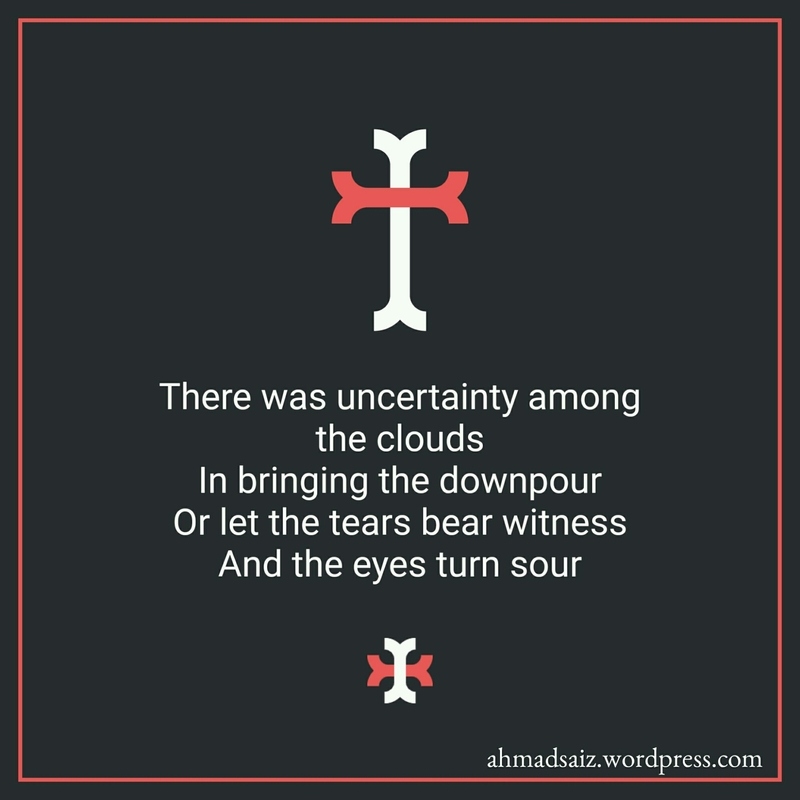 Oh, the top symbol on the poster of these quoted verses looks like a cross, and the title also fitted that, so it gave a different idea about what the post was going to be about and clashed with those words following it. ^_^ Just got me confused for a bit. And that isn’t any symbol. It was the starting letter of the first word. It’s default with the app I use to create images.